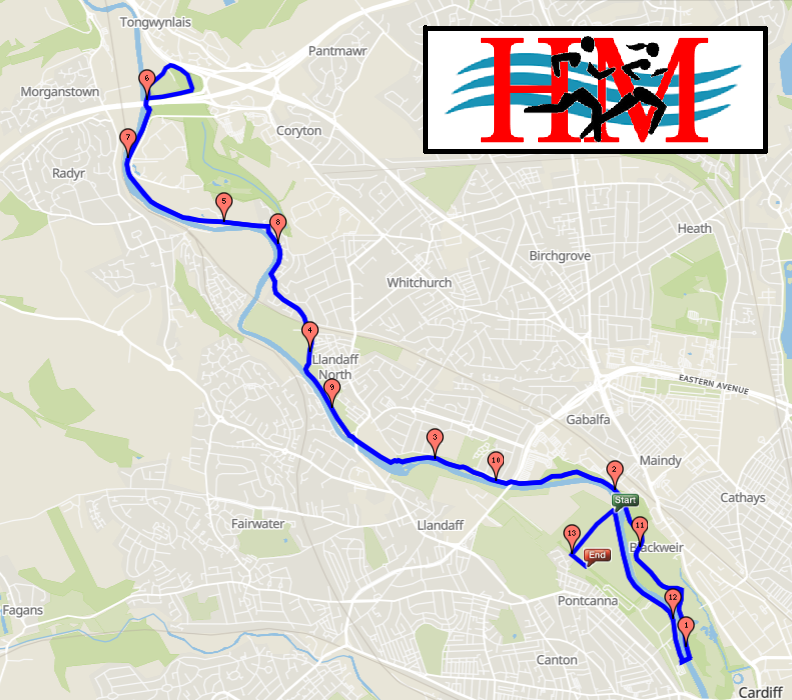 This was a pilot event in 2018 and we go live in 2019, the course will use Pontcanna Fields and Bute Park before heading north along the Taff Trail to Tongwynlais, where you will turn and head for home. Drink stations will be positioned at approx. : 2.5 miles ; 4 miles ; 6.25 miles ; 8.75 miles and 10.25 miles. The course will run on tarmac paths except for one short stretch of compacted path. Unfortunately we will have to apply a 3 hour cut off for the event this year, this is due to us having to be out of our Race HQ earlier than expected. Race HQ and Number collection will be located at the Scout Hall, Pontcanna Fields car park, Fields Park Road, Pontcanna, Cardiff CF11 9LB and will be Open from 08:00, number collection will Close at 08:30. The Start is a 750m walk from the Scout Hall, while the finish is located 100m from the Scout Hall. Tea, coffee and cake will be available after the run. Parking is available at several locations close by but none have a large capacity, so please be considerate when parking, and check for any parking restrictions or fees.